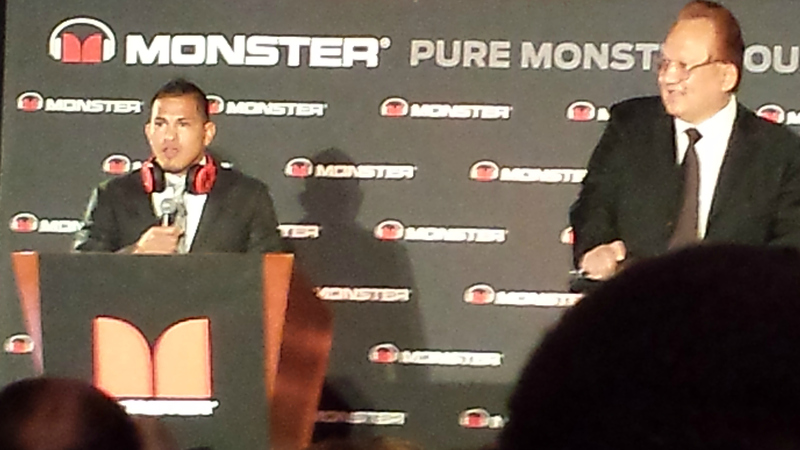 UFC champ Anthony Pettis announcing the Octagon headphones with Monster CEO Noel Lee. It was 9 a.m. on the Monday of CES week here in Vegas, which could only mean one thing: Monster founder and CEO Noel Lee was going to cruise out onstage on his Segway to the hoots and hollers of the press waiting for him to introduce his annual lineup of celebrities and product models. Whatever you think of Monster (after all, the company does have a reputation of charging a premium for its products, not to mention all the trademark claims filed against anyone daring to use the word Monster in their product or brand name), Lee does put on a good show. Which is why it wasn’t a terrible surprise that America’s Got Talent host Nick Cannon (who has his own line of Monster headphones) came out to say that Monster is now in the TV business, producing two shows. The first is Cannon’s DJ contest, I Want To Be a DJ, which will feature Monster product placement. Then the more intriguing show is apparently about Lee himself, a former engineer turned drummer turned cable entrepreneur, who founded the company 35 years ago. Details were sketchy, and there are plenty of these sorts of programs that never make it past the original development stage, but if there must be reality TV, I’d rather it be about a 66-year-old executive on a Segway than about 20-year-old nitwits in BMWs. 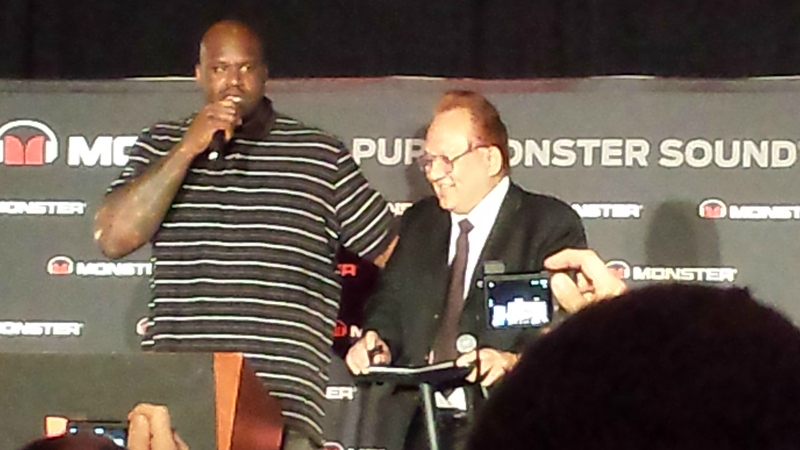 Shaq proposed to this model at the Monster press conference. Moving on to actual products announced at this morning’s conference. Lee brought on an Adidas exec (whose voice is a dead-ringer for Werner Herzog’s) to announce, but not reveal, that the two companies will be releasing headphones branded by the popular sportswear company. There were videos and all sorts of talk about “Adidas originals,” but no actual product shots, details or dates. There was a lot more hoopla around the announcement of a partnership with UFC, bringing on MMA fighter and UFC Lightweight Champ Anthony Pettis to announce the release of UFC-branded Octagon headphones. 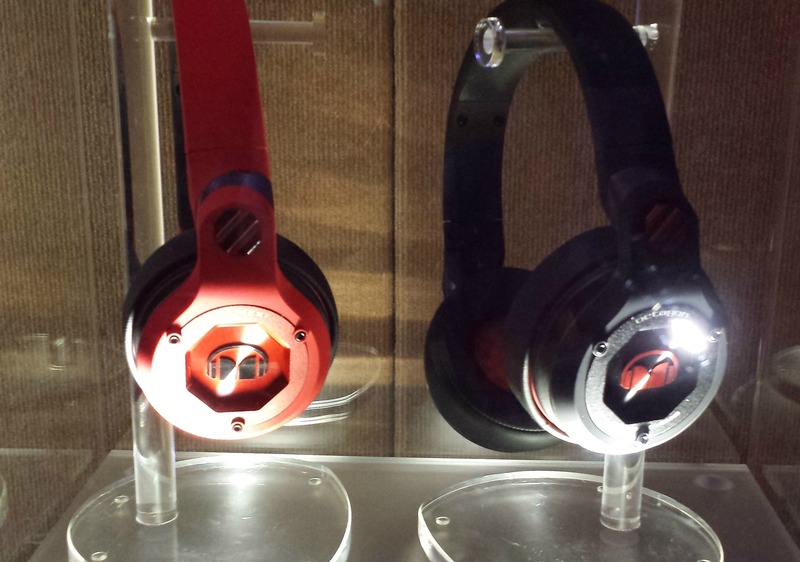 As to be expected by Monster, the Octagon headphones (which come out later this month) are pricey, with the company taking pre-orders starting at $280. Finally, Monster brought out Shaquille O’Neal, who was — for a change of pace — not introducing a Shaq-branded line of headphones, but was on hand to make the company’s credit-card-sized PowerCard portable charging device look even smaller than it actually is. It was kind of sweet when he kissed Lee on the head. The company also announced that it will be getting back to its connectivity roots with the re-release of several classic Monster cables that it had not made in years.